This was a good week! I was super busy, but everything seemed to click. I got in most of my workouts and felt really good. 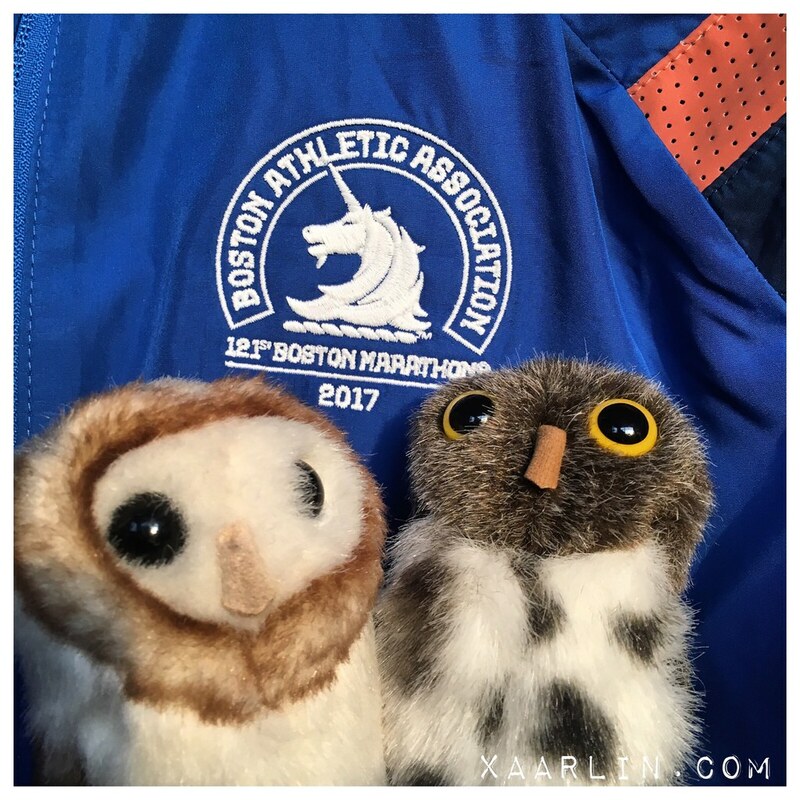 With Boston being just over a week away, I'm starting to have the OH SH*T thoughts that i'm running a marathon and need to start packing all my stuff soon. This photo always puts a smile on my face- It's of Bill Rodgers and I from when I was just over a year old. We were on vacation in the Cayman Islands and my dad was running a 10K which Boston Bill was also running. 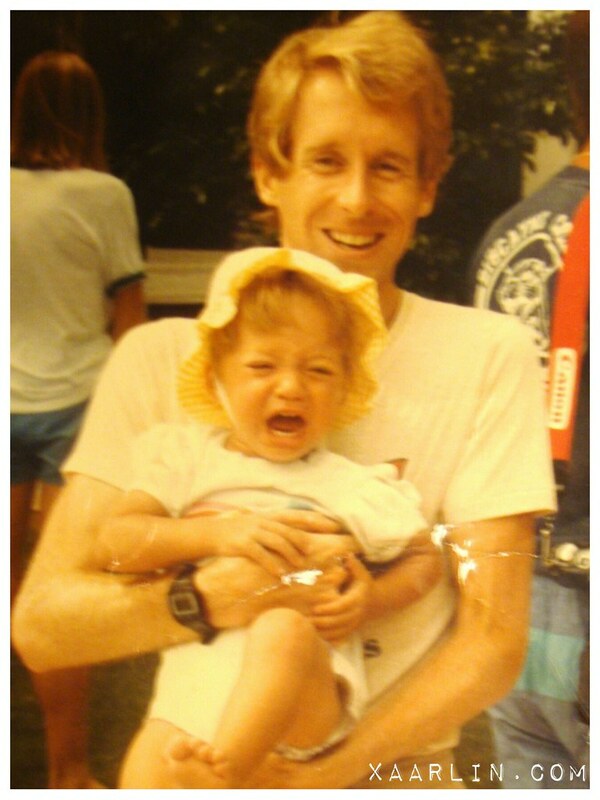 I hope I can meet this legend in person this weekend and recreate the photo, minus the crying. I also received the Boston jacket I ordered in the mail. I love it. 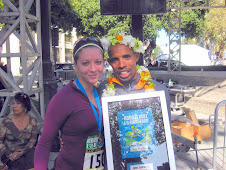 It represents so much to me, and to wear it post race on Marathon Monday will be everything. I amended my plan as needed- the theme of this cycle. I am cautious to not over do it, and to listen to my body. The highlights of the week were my speed sesh of 6x1200's at 7:30 pace which felt so easy, and my back to back 8 mile runs on the weekend. No lowlights to report back workout wise, although the last three runs i've had i've gotten all weepy thinking about the race. It's so hard to run and cry at the same time! This weekend's weather was amazing! 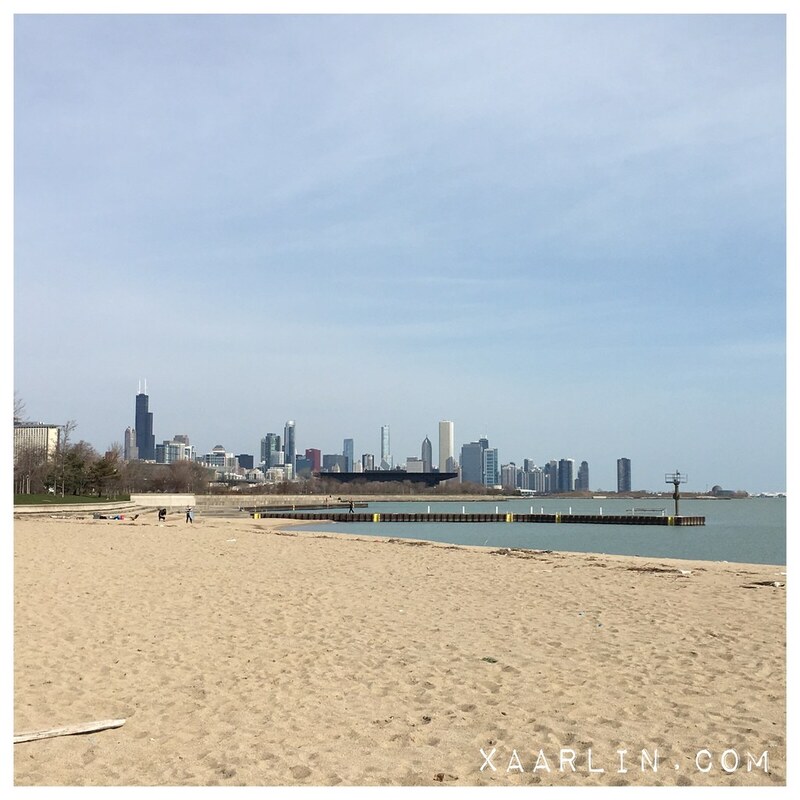 I enjoyed running outside and cruising up and down the lakefront. I purposely overdressed, so that come Boston, mid 45's will feel fabulous- and as it gets warmer, I wont feel overheated. All my "heat acclimatization" paid off for Carmel Marathon last year, so it was a no brainer to do the same thing with my training for this race. Going into this week I was down on my training. I thought that I was undertrained compared to last year. On Friday night I wrote out a week by week comparison of Carmel vs Boston training, and I was pleasantly surprised to see that my Boston training is leagues above Carmel. 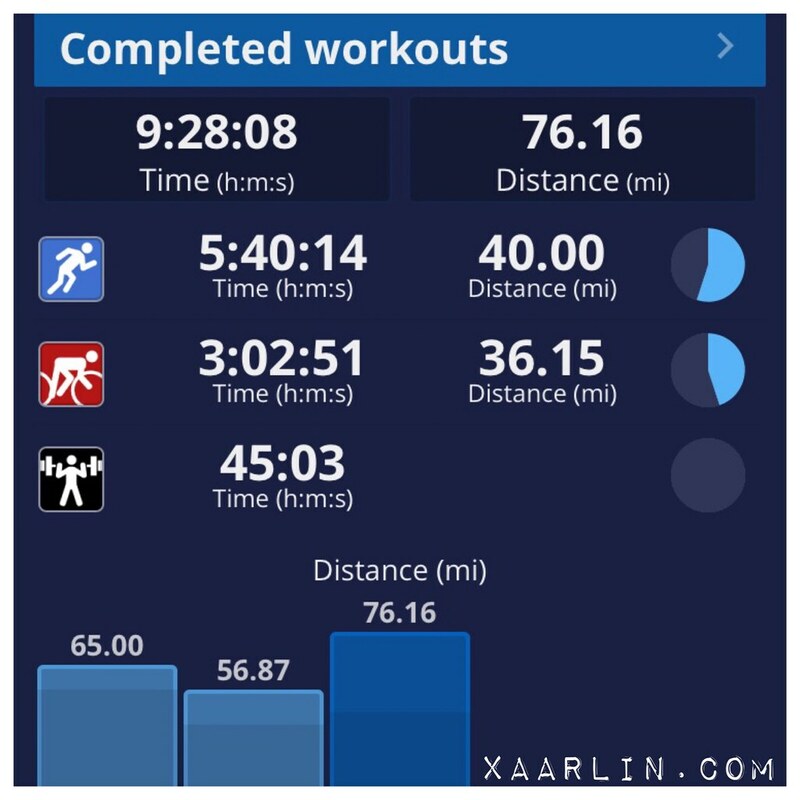 Some quick stats: For Boston training: I've run 641.83 miles (93.5 hours) and cycled 396 miles (31 hours 20 min) through week 17 for a total of 1,038 miles for 127 hours. For Carmel I ran a total of 480 miles (65.5 hours) and cycled 734 miles (51 hours) for a total of 1,218.8 miles for 119 hours over 18 weeks. This includes the final week of workouts and Carmel marathon. I still have one week more of workouts to go for Boston! I'm still feeling optimistic about a sub 3:30 in Boston. I'm feeling healthy, recovered and good- plus the forecast is looking *perfect* with lows in the mid 40's, high of 53 and an extremely low dew point. I still need to nail down what to wear- whether it be my Coeur shorts with pockets, or my Lulu shorts. Im good with shoes, top, sun glasses, etc. I think i'll leave my ipod at home and soak in everything marathon on my way from Hopkinton to Boston. I just need to pack everything up in my travel bag! Shoes damn near gave me a panic attack this week. 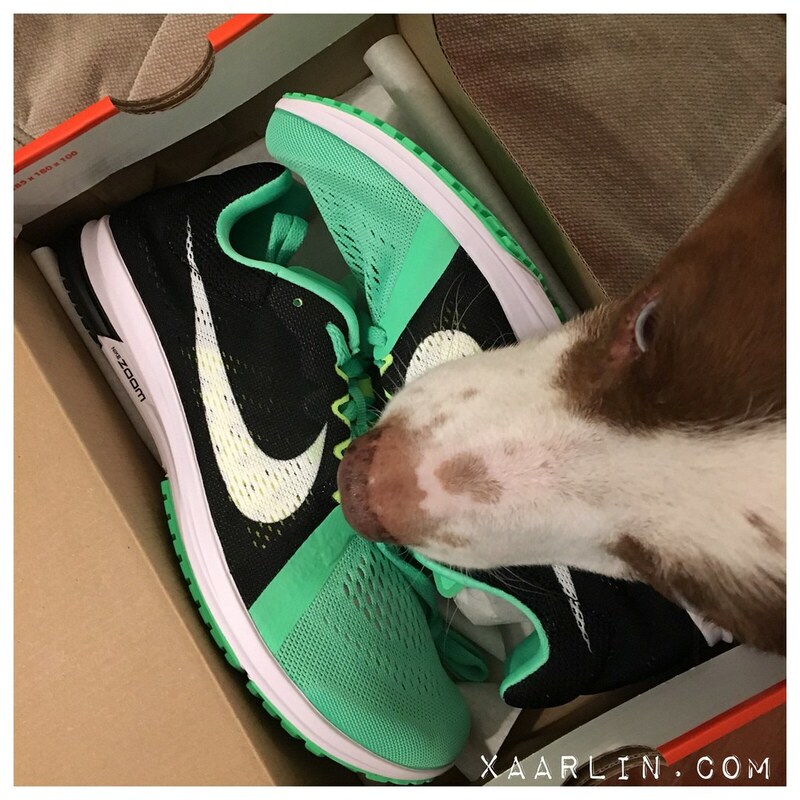 I had ordered a pair of Nike Streak LT3's, but realized once I received them that they were more for short distance racing- while they are beautiful (and green!!) I was in a bind. (I should have ordered the Nike Streak 6's). After my 8 miler on Saturday I called several local running stores looking for Nike racing flats- like the Streak or Epic- I would have even taken a fresh pair of Newtons at this point, yet everyone was out. I called the Nike store and was in luck! They had the racing flats I needed. 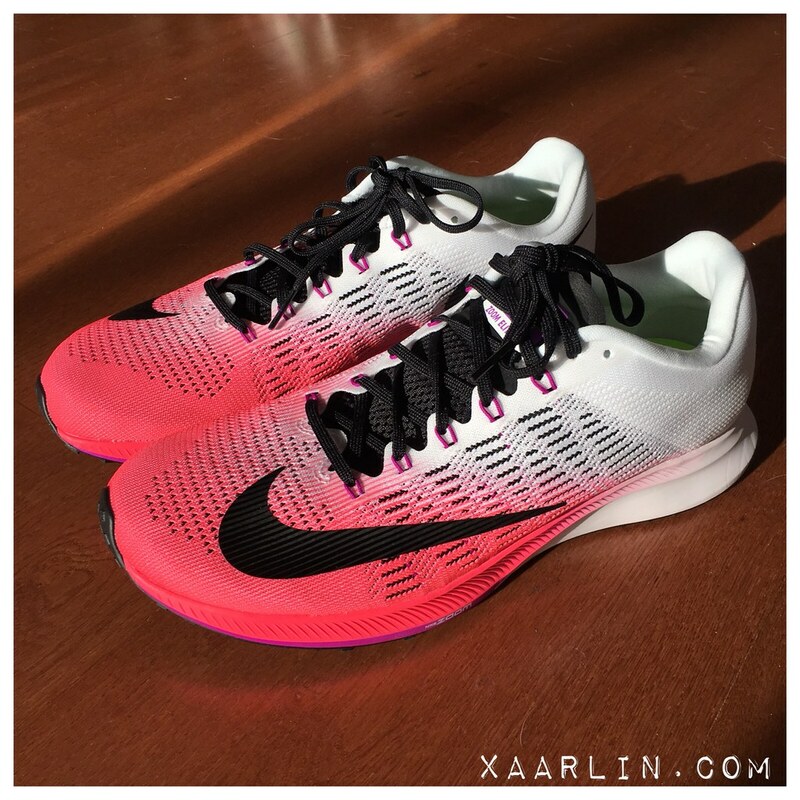 I tried the Nike Zoom Epic on and ran around the store a few times, and knew it was love at first wear. These are very similar to my Nike Zoom Pegasus, but are a few oz lighter- which makes a world of difference to me, especially in the later miles of a marathon. I wish they had the yellow or aqua color, but pink will have to do. I wore them for my last longish run on Sunday of 8 miles and felt great. I threw a few GMPish miles in and flew down the lakefront. I just need to take care of myself this week. Im starting to get antsy about the race and beginning to freak out about packing and logistics. Time to make to do lists! I had a 90 minute massage on Saturday and it helped me relax and feel so much better. 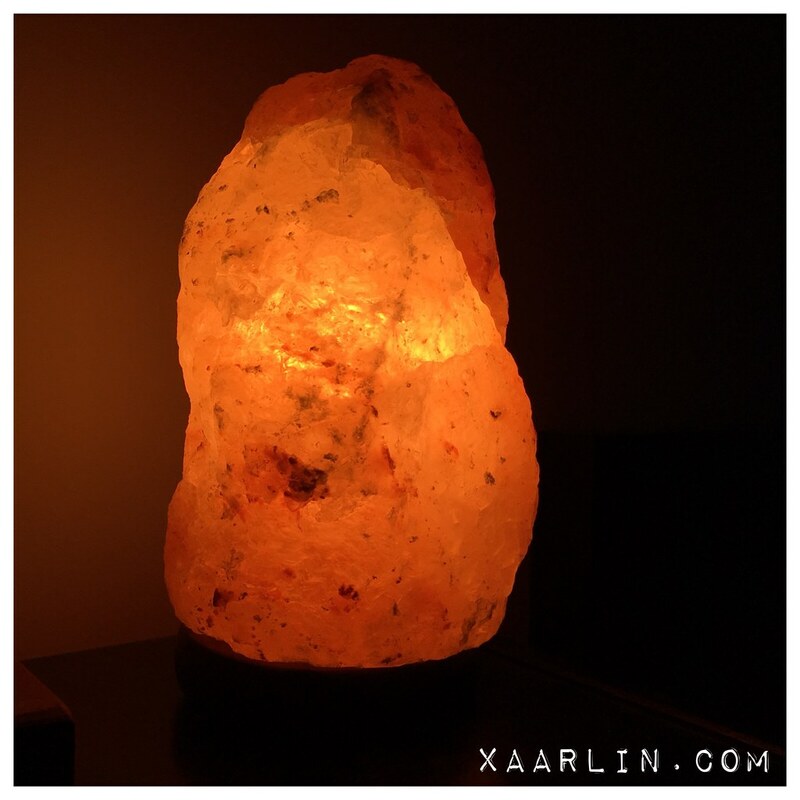 I also bought a cool salt lamp thing. I dont know if it really has any legit health benefits, but it looks awesome in my bedroom and that makes me happy. I'll also continue to take my probiotics, vitamins, BCAAs, and ZMA for sleep. I've already started writing out my race day plan- like when to wake up, what to eat, when to get the bus, etc. and I've also begun writing out (and memorizing) my race execution plan which breaks the course down into 5k chunks. I'm super freaking excited for April 17!! 7 Days to go until BOSTON! You goofball. You were gearing up for an IM last year with Carmel - of course you've done a ton more run focused training now! I am happy reviewing that help made you feel more confident. I can't believe it's a week away! I am stoked for you! OMG Baby Xaarlin! So cute! And damn lady, I can't believe the kind of mileage you're logging DURING THE WEEK! The most I can ever squeeze in on a weekday is 4 miles (granted it takes me a little longer than you, but still!). I'm so glad you're feeling so good going into the race! And perfect weather to boot? I'll be thinking of you next Monday. You've got this. I am so excited for you!!!!!!!!!!!!!!!!!!!!!!!!!!!!!!!!!!!!!! !